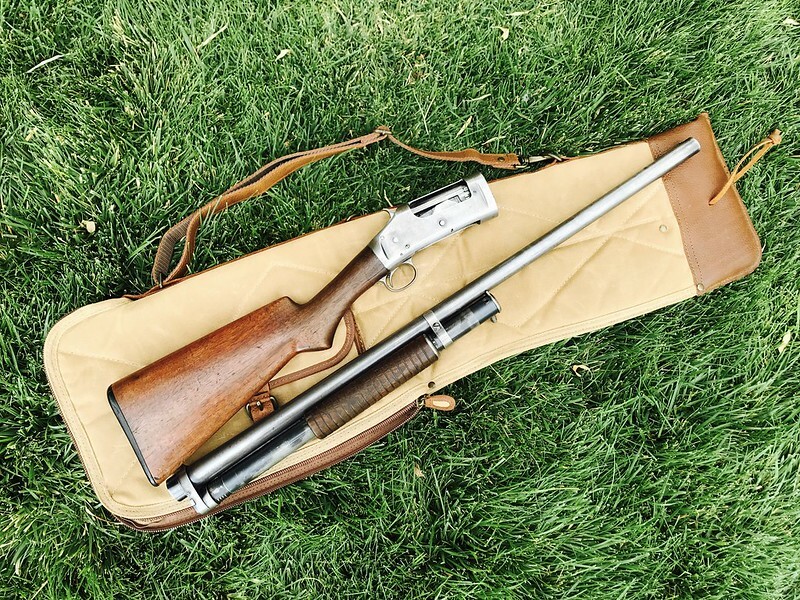 I think Im going to build a (historically inaccurate) trench gun. I've got this "well loved" 1897 from 1910. 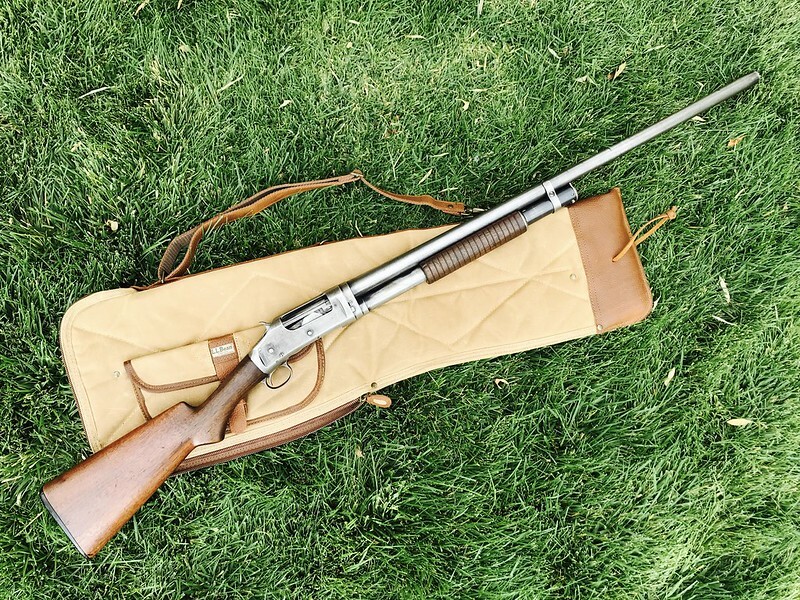 It fuinctions fine but has some pitting at both ends of the barrel (mostly at the muzzle end), the barrel is bent (I cant hit clays with it), the barrel has a few dings, and overall the gun has no intrinsic value other than being cool. I'm aware these issues are all repairable, but being a 30 inch fixed full choke, I dont have a lot of use for it. Plus, it would cost more to have it repaired than to build a trench gun, and even that is going to cost more than what I paid. I paid 150 for it, so even if it just ended up as a wall hanger it would be fine with me. 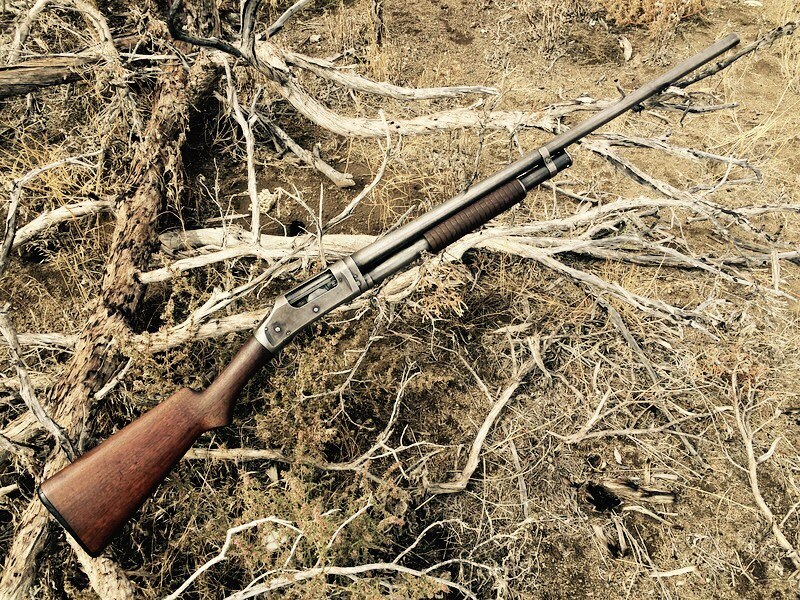 I plan to cut the barrel down to 20", file a locating notch, replace the magazine end cap and screw, add a reproduction heat shield that i will artificially age to match the condition of the gun, then add a sling swivel to the stock, and slap on an appropriate 1907 style sling. I asked my father in law, who is a big militaria collector, if he had any spare 1917 bayonets laying around. He had one still in the original packagin, and I said no thanks, I dont need anything like that. 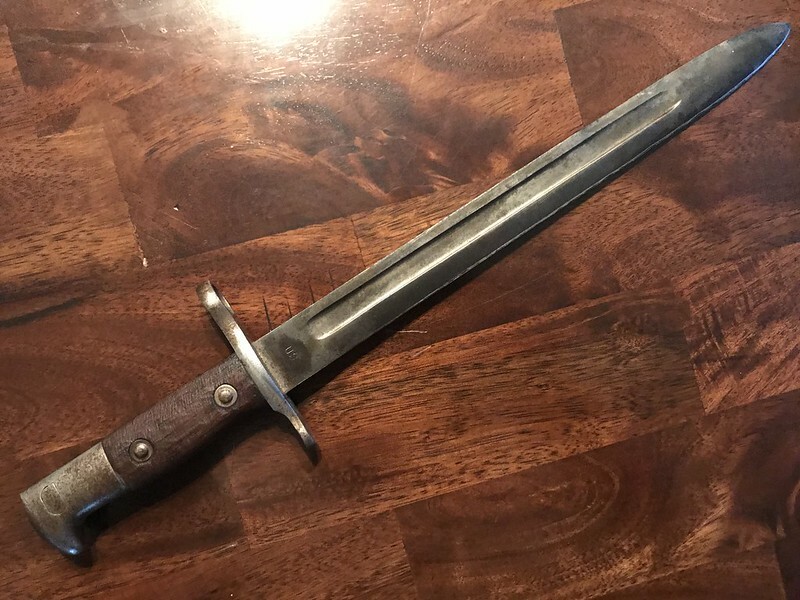 The next closest thing he found was a 1892 Krag bayonet, which appears to be precisely similar aside from being several inches shorter than the 1917= (12 inches vs 17 inches). The price was right, and it looks the part, so it'll work just fine. So, thats where we stand. All parts are available for this project so I'm not worried about that. I just need to get to cutting, then order up the necessary bits. I think it'll be a fun project and result in a fun gun to play around with. Sounds like yours is a little more useful than mine, haha. I could just be using the bent abrrel as an excuse for not being able to hit crap, because I am certainly not good at it, but with my wingmaster I normally get several hit strings.